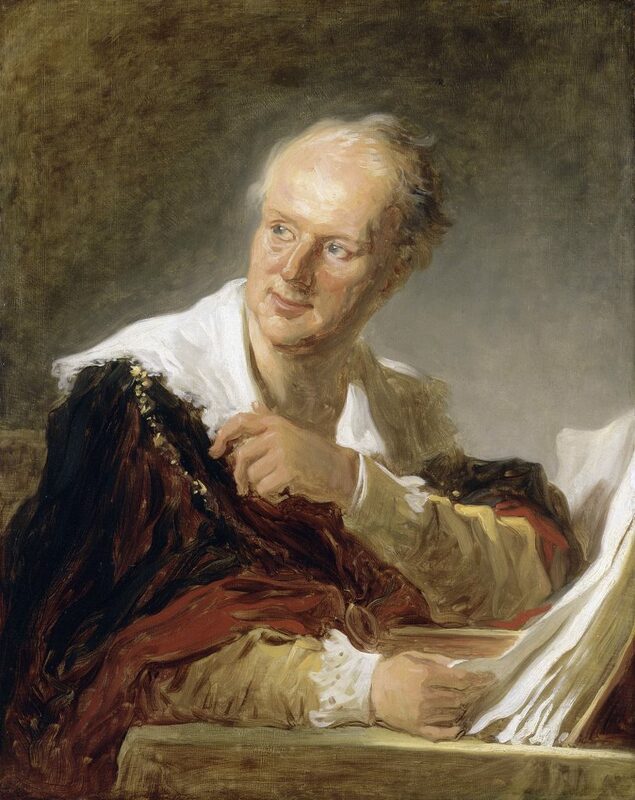 Denis Diderot 1713-1784), peint par Jean-Honore Fragonard (1732-1806), Musée Du Louvre. In his « Letter addressed to a magistrate on the book trade », Diderot is the involuntary author of the modern concept of authorship and copyright, recognizing the author an intellectual property of the content of his creation. It is pertinent at this point to look at the context of the times. Back then, a bookseller was both publisher and bookseller, both trades were combined as one. The printing press appeared in Europe in the XVth century and boomed in all countries. Gradually the practice of « privilege » spread, a royal pardon given to booksellers facing the challenges of counterfeited works: this favour made the bookseller the owner of the book that he had published and gave him the right to sue anyone who tried to copy it. But this license given to booksellers, based solely on royal goodwill, only lasted for the duration of the ‘privilege’. So it was constantly renewed, granting powerful booksellers customary power unfounded in law. The result was that authors had no copyright over their work once they had ceded publishing rights to a bookseller. This concept of authorship copyright did not exist and would not obtain legal status for some time. The interesting thing about this text is the paradox within its reasoning. By exploring an argument based from the bookseller’s viewpoint and the maintenance of the current state of affairs, the philosopher sets out the intellectual groundwork for authorship copyright. In order for a writer to lose his rights to the bookseller/book publisher, he must first be the owner of his work, and this work is not founded ‘royal goodwill’ but he does not make a distinction between the author’s merchant rights from his intellectual rights: therefore an author who sells his rights to a bookseller dispossesses his descendants. The author is the sole owner of his work just as if it were a material asset. Diderot therefore refutes any censorship, editing, or revision of the content of the work as the latter is the fruit of the author’s personality, authorship giving him ownership of the textual contents. He will expand on this idea further in his letter to Falconet on posterity. One of the first to do so, Diderot outlines why an author should enjoy intellectual property rights over his work, whilst defending the old system enjoyed by book trade. By defending the past, the French philosopher of the Enlightenment heralded the future. The foundation for an international system for the protection of literary and artistic pieces of work was adopted at the Berne Convention in 1886. This Convention would be repeated on numerous occasions until 1979. The treaty, involving 168 signatory countries by 2015, is run by the International Copyright Union at the heart of the United Nations.